Sentinel is a Web-based subscription service that provides continuous, real-time monitoring and compliance management. Audio playback for investigation and comprehensive reporting provides a traceable record of your regulatory compliance. Instrumentation recovery and data transfer at the conclusion of your subscription The Sentinel managed service takes care of everything you need freeing you to concentrate on your core responsibilities. Sentinel operates using the latest cloud computing techniques. This provides a secure and scalable architecture that delivers the performance, reliability and accessibility required by our customers. Cloud computing also makes setup simple and reduces costs. One or more Noise Monitoring Terminals (NMTs) are located at the facility being monitored. The number and location are often defined within environmental impact studies. 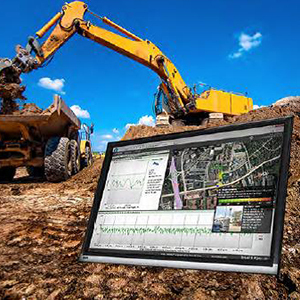 Additionally, a system may comprise Vibration Monitoring Terminals and/or Dust and Air Quality Monitoring Units. Data are communicated from the monitoring units via a 3G mobile data connection to the Internet and then to Sentinel in the cloud. Sentinel performs data integrity checking, storage, processing and then formats the results into reports and presentations. Sentinel can be accessed by the user from any Web browser. Access is available 24 hours a day, making Sentinel usable by teams of people located in different geographical areas. Data are received in real-time and presented to users with only a few seconds’ delay.